An exclusive look – for Virtual Museum viewers – at the newly gilded lettering on Bath’s Pump Room façade which is currently hidden – as of Monday, March 10th, 2015 – by a hefty coating of scaffolding. 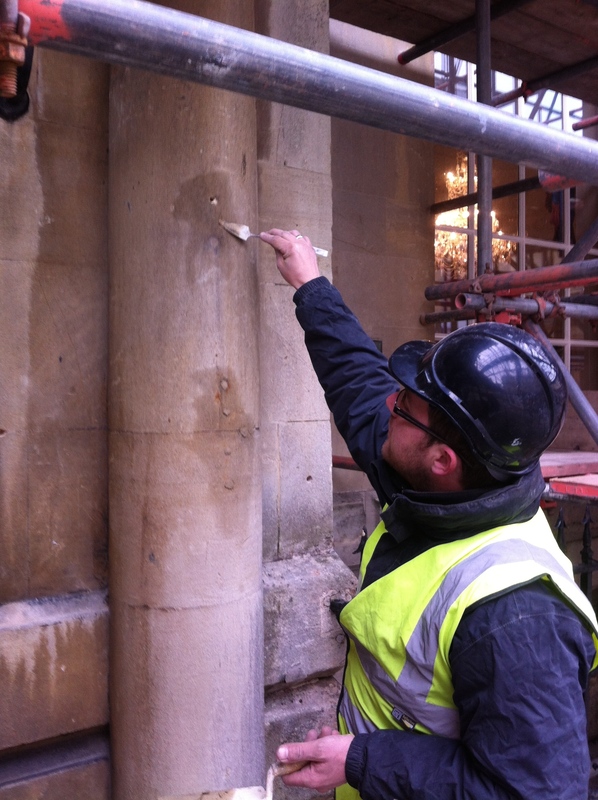 Conservator, Nick Sharland working on the facade of the Pump Room. My thanks to conservator Nick Sharland for getting the shots of the lettering for me! 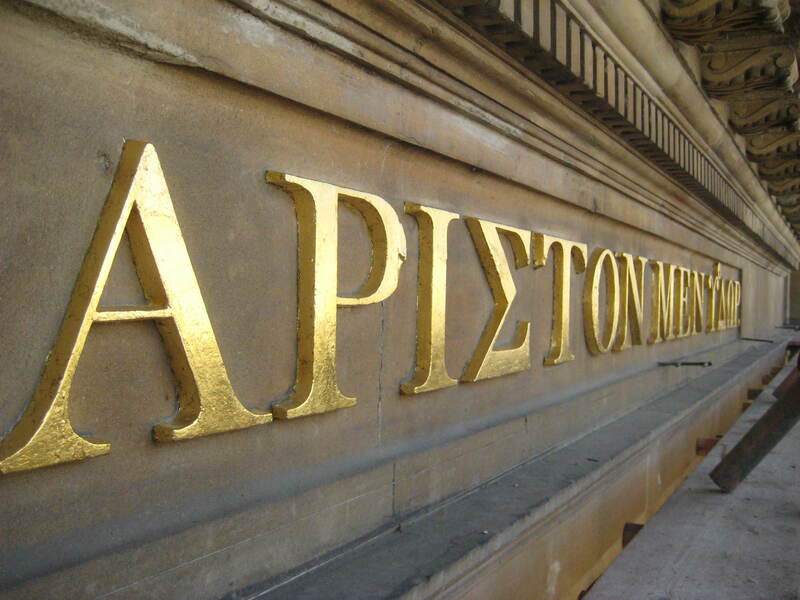 It’s a quote in ancient Greek which extolls the virtues of plain, honest water. Get the full story – and hear what work is being done on these historic buildings – by clicking on the clip below.